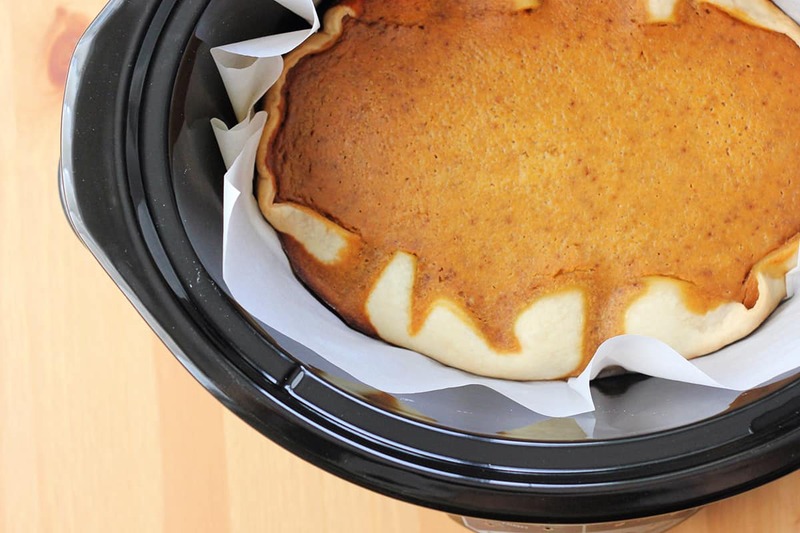 Slow Cooker Pumpkin Pie. 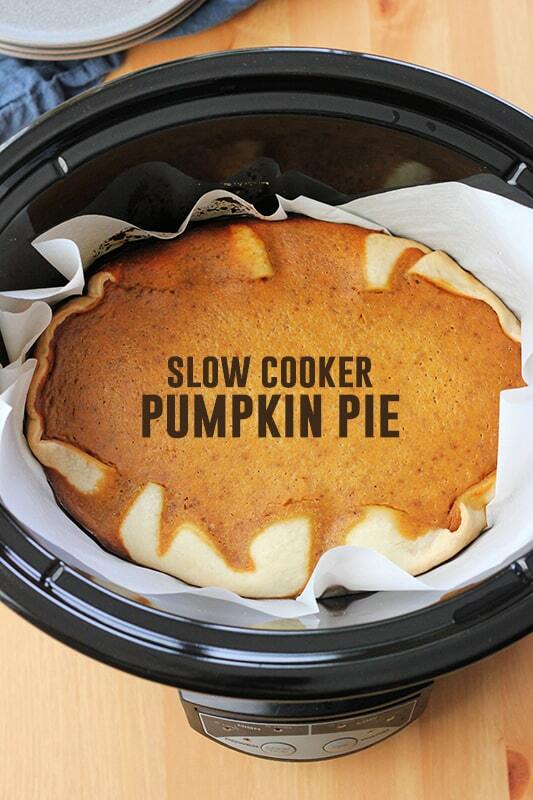 Thanksgiving just got easier with this incredibly simple slow cooker recipe! 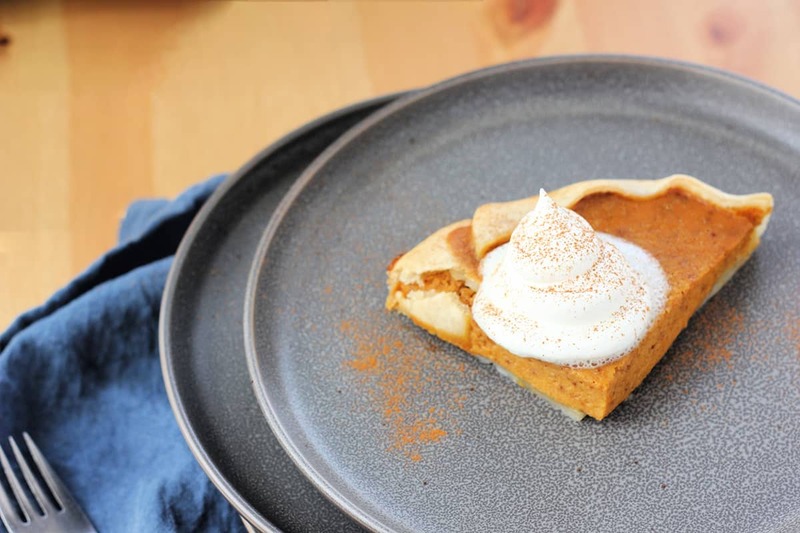 Mix together pumpkin, evaporated milk, spices, and pour into a crust for the perfect pie recipe! If you know me, you know I am obsessed with anything that makes my life easier. This recipe does just that. Thanksgiving is right around the corner. I always love to bring some of those classic dishes to the table, but get a little overwhelmed in all of the prep. Using my slow cooker to whip up some of the staples has made things run 100 times smoother! Our new favorite slow cooker recipe? You read that right. I made pumpkin pie in my slow cooker. 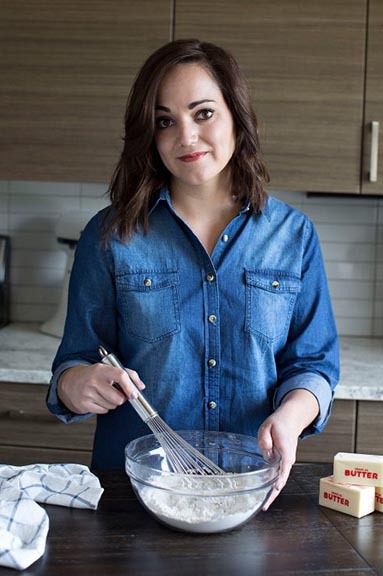 Line your slow cooker with parchment paper. Roll out an unbaked crust onto the parchment. Be sure to read the tips section of the recipe. My slow cooker is a little bit older and took a few more minutes to bake. My mom has a newer version that halved the time. Keep a close eye on your pie and you shouldn’t have any problems. Like this recipe? You will love my Classic Pumpkin Pie, Slow Cooker Stuffing, and Slow Cooker Mashed Potatoes! 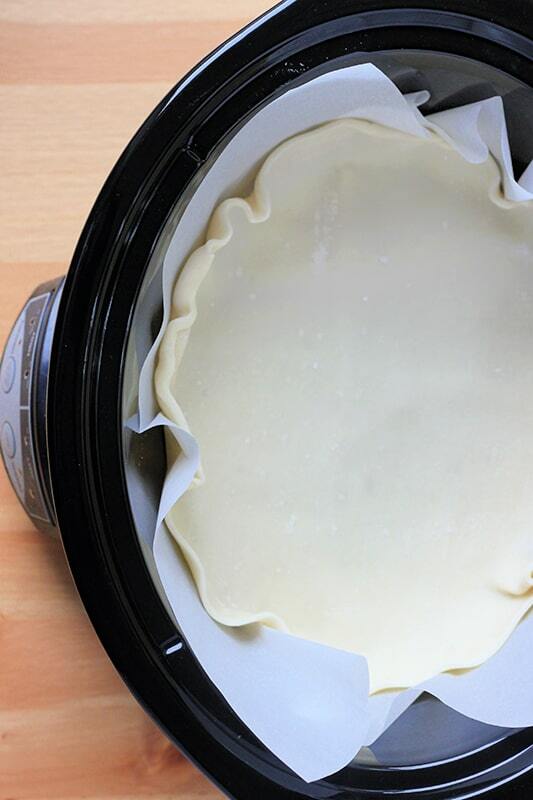 Roll out your crust on top of the parchment making sure the edges rise up the sides of the pot. Combine the remaining ingredients in a medium sized bowl. Mix until fully combined. Pour into your prepared pie crust. Check at 3 hours to avoid burning. Our slow cooker cooked perfectly at 4 hours. We tested in a few other slow cookers and had varying results. Check your pie frequently. This sounds wonderful!! I am going to give it a try!! Thanks Jesseca! Thanks for stopping by! I hope you’ll let us know what you think if you do try it. We tried this over the weekend for a test run. 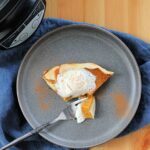 I wasn’t sure how I would like a pie that is cooked in a slow cooker, but was pleasantly surprised! We accidentally forgot to check ours at 4 hours… It cooked on high for 6 but was perfect! We plan on making this for Thanksgiving. Thank you for sharing.